Donald Trump dismisses appearance in al-Shabaab terrorist recruitment video. 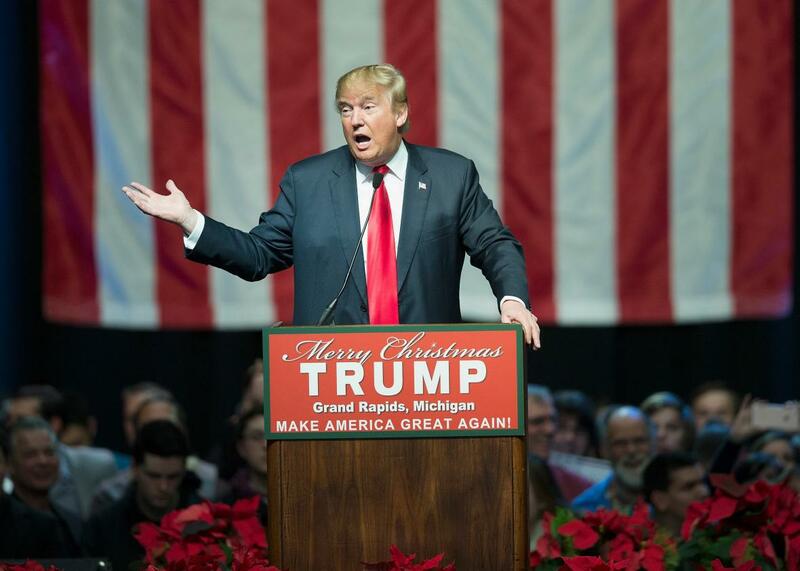 Republican presidential candidate Donald Trump speaks to guests at a campaign event on December 21, 2015 in Grand Rapids, Michigan. Donald Trump is not losing sleep over being featured in a terrorist recruitment video. “Look, there’s a problem. I bring it up,” the Republican presidential candidate said on CBS’ Face the Nation. Host John Dickerson played Trump a portion of the video by al-Qaida affiliate al-Shabaab that features a clip of Trump calling for “a total and complete shutdown of Muslims entering the United States.” And the real estate mogul essentially shrugged it off. Trump also said the only reason he is talking about Islam so much on the campaign trail is because President Obama is ignoring the issue. “Until he’s willing to admit the problem, how can you not at least talk about the problem? And one of the things I’ve done is I’ve brought the problem out. The world is talking about what I’ve said,” he said. Last month, Hillary Clinton had called Trump “ISIS’ best recruiter.” The Republican presidential candidate made it clear Sunday that no one should think this latest video vindicates that view. “Al-Shabaab, not ISIS, just made a video on me—they all will as front-runner & if I speak out against them, which I must. Hillary lied!” he wrote on Twitter.